Red Dead Redemption 2 was an expected smash hit. Some games have "sales" written all over them from their initial announcement, (see also Resident Evil 2). Rockstar's wild west adventure is such a title, with publisher Take-Two proudly announcing the sequel's latest milestone. Red Dead Redemption 2 has, to date, shipped 23 million units since its launch in the Fall of 2018. 17 million of those copies shifted in the first fortnight of release, an amazing, if not wholly surprising feat. The epic adventure held one of the biggest stakes in Take-Two's successful financial year, supplemented with the returns from 2K Games sports titles, Civilisation VI, as well as the persistent cash cows that are Grand Theft Auto V and GTA Online. Altogether, Take-Two reported revenue of $1.57 billion for their third quarter, which is up 140% on the same period the previous year. 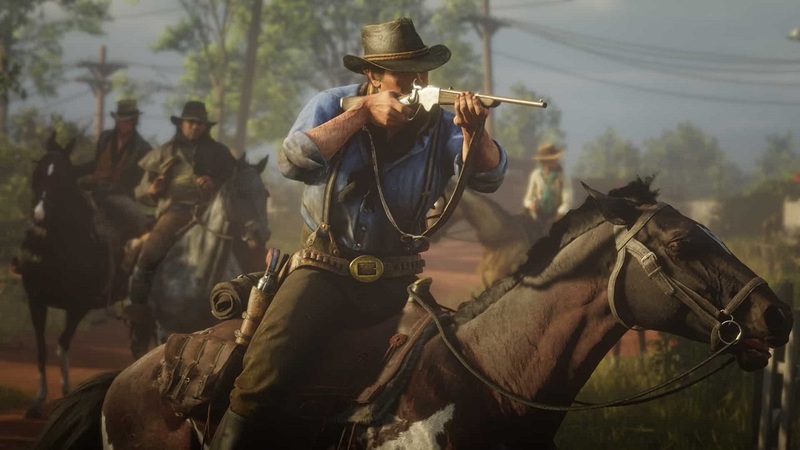 Red Dead Redemption 2 would eventually take the title of best-selling game in 2018, beating out competition from great titles such as Monster Hunter: World, Marvel's Spider-Man and God of War.